Increase your click conversion by schema rating on Google. By usign SchemaNinja review box you can enable review page rating. The graphics analytic dashboard will help your to engauge your wesbite traffic into sales. SchemaNinja analytics give you deep action detail of each features that you use in your website. You can create specific recommendations for any content type on your blogs and get high conversion on your blog posts. Maximize your conversion on any device.The good looking and responsive design of SchemaNinja will help you to make high quality website. By using shortcodes you can use SchemaNinja recommendation anywhere in post or pages. 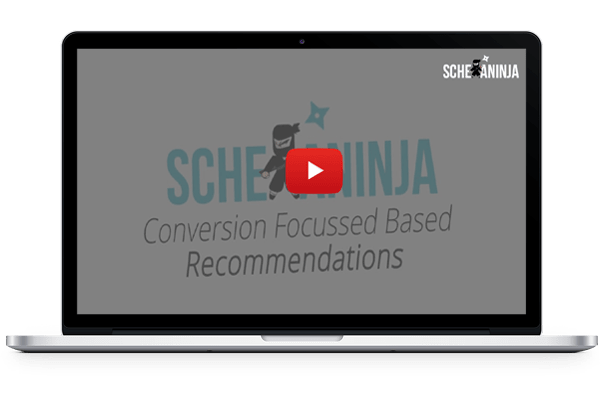 Make SchemaNinja recommendation perfect for your current theme.The color combination or text layout will help you to attract more customers. Show exit and entry popup based recommendation to your visitors, show your best popup offers. Show 3 best footer recommendations to your visitors and drive sales for your offers. Show best coupon recommendation anywhere on the website to make conversions. 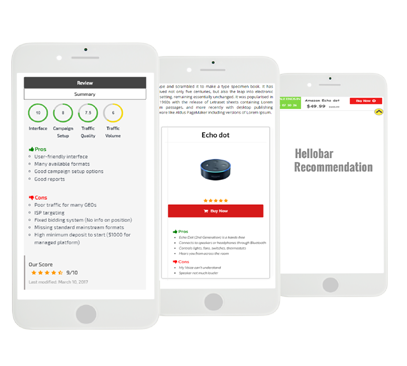 Show the best current sale or offer on hello bar and get crazy conversions on exclusive promotions. Easily increase conversion rates and segment your audience with our powerful mobile responsive features. Compel your visitors to opt in with stunning, incredibly easy to create and feature-packed landing pages with your customized offers. 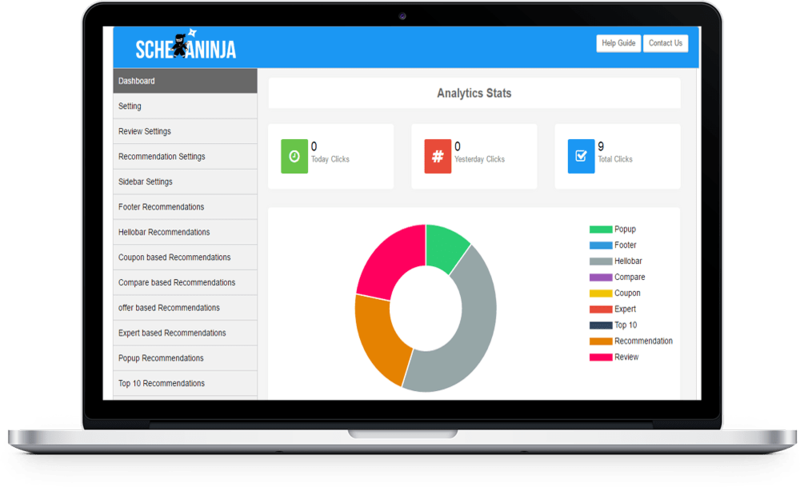 No more wasting time through useless data to see how your campaigns are performing from SchmeaNinja Dashboard. Target your visitors as they discover your content recommendations and make sure they act on your offers. Show exit offers to abandoning visitors. Reduce your bounce rate, boost your conversions and never lose another lead. STOP Your Website from LEAKING 80% of its TRAFFIC & Bring in 20x More Sales & Leads.